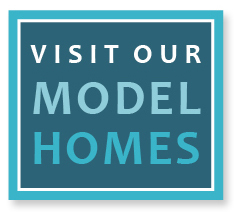 In addition to the fantastic amenities and unique floor plans offered at The Meadows at Imperial Oaks, the community also benefits from a convenient location to greater Houston. With easy access to I-45, Sam Houston Tollway, Hardy Tollway, and the Grand Parkway, residents of The Meadows at Imperial Oaks are just minutes from the ExxonMobil Campus and other employment centers in The Woodlands and metro Houston. The same location that allows residents to be close to major employment centers also means that the shopping, dining, and entertainment options of The Woodlands Mall, Market Street, The Woodlands Waterway, and The Woodlands Town Center are just minutes away. Come visit us and see for yourself the best combination of luxurious homes and pristine amenities at a convenient location in suburban Houston. Driving directions from nearby areas are below, or via Google Maps. From US 59N/Cleveland, take the Interstate 610W exit. Keep left and merge onto US 59N. Take the Interstate 610W exit and merge onto Interstate 610W. Take Exit 19B for Hardy Toll Rd N. Continue onto Hardy Toll Rd and take the Riley Fuzzel Rd exit. Turn right onto Riley Fuzzel Rd and then left onto Rayford Rd. Turn right onto Aldine Westfield Rd, then right onto Kendal Ridge Ln. into the entrance of the community. From Lake Woodlands Dr, turn left onto Woodlands Pkwy. Continue onto Robinson Rd. Turn right onto Hanna Rd. Take 1st left onto Robinson Rd, then continue onto Imperial Oaks Blvd. Turn left onto Northridge Forest Dr. Take a left onto Aldine Westfield Road. Turn right onto Kendal Ridge Ln. into the entrance of the community. Head west on Will Clayton Pkwy toward Colonel Fischer Dr. Take the 1st right onto Wright Rd. Continue straight and turn left onto Lee Rd. Turn left onto FM 1960 W and take the Hardy Toll Rd exit. Turn right onto W Hardy Rd, then take the Hardy Toll Rd N ramp on the left. Merge onto Hardy Toll Rd. Take the Riley Fuzzel Rd exit and turn right onto Riley Fuzzel Rd. Turn left onto Rayford Rd, then turn right onto Aldine Westfield Rd. Turn right onto Kendal Ridge Ln. into the entrance of the community.